February 8, 2012 marked the 125-year anniversary of the 1887 General Allotment Act (or Dawes Act), legislation that was designed to assimilate American Indian people into white culture and was directly responsible for the loss of 90 million acres of Indian land. 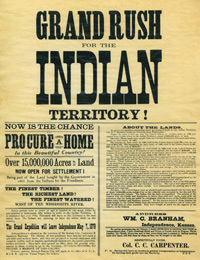 The Act required tribally-held land to be divided among individual tribal members and the remaining “surplus” lands opened to white settlement. This division and alienation of Indian land and assets had devastating consequences for Indian people that still endure today. These are some of the ongoing issues. Indian lands that were alienated as a result of the General Allotment Act of 1887 (also called the Dawes Act) were sold or transferred to non-Indian parties but remained within reservation boundaries. As a result, trust lands, fee lands, and lands owned by tribes, individual Indians and non-Indians are mixed together on the reservation, creating a checkerboard pattern. Checkerboarding seriously impairs the ability of Indian nations or individual Indians to use land to their own advantage for farming, ranching, or other economic activities that require large, contiguous sections of land. It also hampers access to lands that the tribe owns and uses in traditional ways. 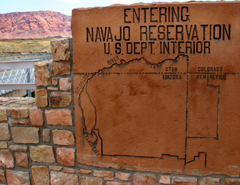 Jurisdictional challenges are common on checkerboard reservations, as different governing authorities – county, state, federal, and tribal governments for example – claim the authority to regulate, tax, or perform various activities within reservation borders. 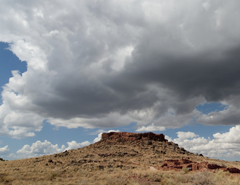 Often these different claims to authority conflict, which can create economic uncertainty, racial tension, and community clashes within or near the reservation. To complicate matters even more, the case law relevant to jurisdiction on Indian land is highly complex and on some points inconsistent and unsettled. 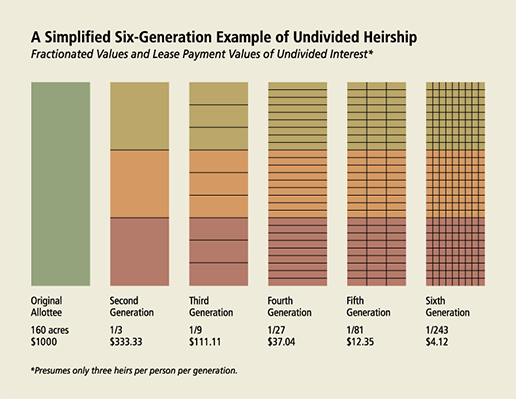 For over a century, Indian families have seen valuable land resources diminish as fractionated ownership increases with each passing generation. As a result of the General Allotment Act of 1887 (also called the Dawes Act), reservation land was divided up and allotted to individual tribal members. When an allottee died, title ownership was divided up among all of the heirs, but the land itself was not physically divided. As such, each Indian heir received an undivided interest in the land. Now, as each generation passes on, the number of owners grows exponentially, which has resulted in the highly fractionated ownership of much Indian land today. Parcels with fractionated ownership can have hundreds or even thousands of owners. With so many owners, individual income from the land is minimal – sometimes less than what it costs the federal government to process the payment. 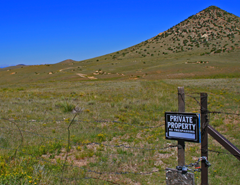 In addition, land use is compromised because an undivided interest owner must gain consent from a majority of the parcel’s owners to do anything with the land. This makes it nearly impossible for any one of the owners to use the land for agriculture, business development or a home site, all uses that would improve quality of life for Indian people. Fractionated ownership presents a serious problem that, if not addressed, will only get worse, placing Indian land further out of Indian control and adding to the excessive administrative costs of managing the interests. For example, in 2007, one 80-acre tract on the Lac Courte Oreilles Reservation in Wisconsin had 2,285 undivided interest owners. If nothing is done to prevent the further fractionation of these interests (such as implementing a land consolidation plan) in 50 years this allotment will have close to 535,000 owners and the annual costs to administer the allotment will go from $150,000 to $60 million! As a result of the General Allotment Act of 1887 (also called the Dawes Act), 90 million acres of Indian land were taken out of Indian ownership and control. From 1887 to 1934, 60 million acres of “surplus” Indian lands were sold or transferred to non-Indians. Another 30 million acres were lost due to the 1906 Burke Act, forced sales and other takings. All of these alienated Indian lands remained within reservation boundaries but were no longer under Indian ownership and control. In the end, land that had been held in common by the entire tribe was now divided into a jumbled mix of trust lands, fee lands, and lands owned by the tribe, individual Indians and non-Indians. Today, the loss of tribal lands combined with the mixed ownership patterns within reservation boundaries poses serious challenges for the sovereignty and self-determination of Indian nations. Loss of access to sacred and cultural sites makes it harder for each successive generation to remain rooted in Native culture. The checkerboard ownership pattern creates jurisdictional challenges and makes it very difficult to use reservation land for economic development. Billions of dollars in income are derived from these alienated lands, but the money goes off the reservation instead of to the Indian communities that need it most. As the General Allotment Act of 1887 (also called the Dawes Act) was implemented on Indian reservations across the U.S., land that was perceived to be the most valuable was generally declared “surplus” and was sold or transferred to non-Indian parties. And while much of the land that remained in Indian control is still productive, the fractionated ownership of trust lands and the excessive federal bureaucracy involved in managing these interests makes it nearly impossible for Indian people to use these lands themselves. Today, the vast majority of agricultural lands on reservations are leased to non-Indian ranchers, often at less than fair-market value. In addition, income from these lands goes off the reservation instead of to the Indian landowners who experience high rates of unemployment and often live in poor economic conditions. Some reservations have rich stores of valuable natural resources but the federal government, acting as “trustee,” has allowed energy, mining and other extractive industries to exploit Indian nations by routinely shortchanging them on royalties from oil, gas, timber and other purchase or lease agreements on Indian land. 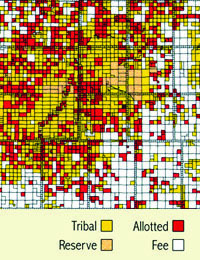 1Pine Ridge Reservation Allottee Land Planning Map Book, Village Earth, 2009. 2“Selected Characteristics of All Reservation Farms and of Reservation Farms Operated by American Indians or Alaska Natives in Montana,” National Agriculture Statistics Service 2007 Census of Agriculture American Indian Reservations Volume 2: Tribal Lands in Montana, U.S. Census Bureau, Census 2000. Indian nations have a complex relationship with the U.S. government. On one hand, the federal government ensures that Indian nations receive services and resources as established in treaties and other agreements. It also offers financial oversight and asset management in its fiduciary role as trustee. And, it provides legal protection from states and other entities who would attempt to assert power, thereby infringing on the sovereign status of Indian nations. However, more often than not, the federal government has failed to honor its agreements or to protect the rights of Native people. The U.S. courts, for example, have unlawfully upheld the taking of aboriginal territory without compensation. Congress refers to its power over Indian nations as “plenary” and has passed laws allowing for the termination of Indian nations and the forced, illegal sale of Indian lands. 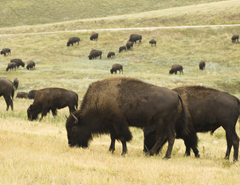 More recently, the Department of Interior admitted to over a century of mismanagement of Indian lands and assets that has been responsible for the loss of billions of dollars in real income for nearly 500,000 Indian landowners. Tribal nations must continually inform and contest these decisions through education and lobbying in Congress and through grassroots activism and litigation. 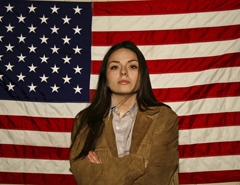 Organizations such as National Congress of American Indians, National Indian Education Association, Native American Rights Fund, the Indian Law Resource Center and many others have been an important bulwark against the fear that Congress will use this “plenary” power to damage or even destroy Indian nations. American Indians have traditionally practiced a land-based religion, in which the place and space of worship are fundamental. These practices are still an important part of Indian culture and spirituality today. Unfortunately, many sacred and culturally significant places have been permanently destroyed. For those sites that still exist, holding ceremonies is difficult because of competing interests for land use. Many treaties include special rights and privileges for tribal members to use lands for traditional purposes, but these treaty rights are often not honored by private landowners, local governments or other authorities. 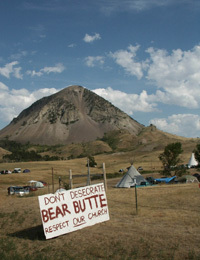 Many sacred sites are located on federal or public land and some are popular tourist destinations, such as Bear Butte near Sturgis, South Dakota. Historically, sacred sites such as this have not been well protected from overuse, inappropriate use or vandalism by visitors. Indian people have struggled to continue using these sites in the traditional way – e.g. , holding ceremonies privately – and without having to obtain a special permit to enter a state or national park. Indian people regularly face strong opposition by other parties, and often with little legal recourse or support. The sovereignty of Indian nations in the U.S. is inherent, meaning that the tribal nations’ authority to govern has existed since tribes themselves came into being. Tribal sovereignty was affirmed during treaty-making, as first European nations and then the U.S. entered into treaties with tribes on a nation-to-nation basis. Even though the treaty-making era formally ended in 1871, the sovereign status of Indian nations remains today. As sovereign entities, Indian nations are guaranteed the power and/or right to determine their form of government, define citizenship, make and enforce laws through their own police force and courts, collect taxes, regulate the domestic affairs of their citizens, and regulate property use. Federal policies, such as the Indian Reorganization Act of 1934 and the Indian Self-Determination and Educational Assistance Act of 1975, have reaffirmed Indian nations’ rights to govern themselves and manage their own lands and resources. Even so, federal, state, county and local governments often challenge American Indian sovereignty, especially when there are questions of jurisdictional authority. Many Indian reservations contain land with multiple types of ownership (trust, fee, restricted, tribal, individual Indian, non-Indian) creating a checkerboard ownership pattern. As a result, reservation lands are also under several different jurisdictions (tribal, city, county, state, federal) making it difficult for Indian nations to assert regulatory and legal control and to foster new development on their lands. Many local disagreements over land use and law enforcement between tribal nations and neighboring cities, counties and private landowners have severely compromised tribal regulatory efforts and crippled economic development. A handful of Indian nations managed to avoid allotment, such as the Red Lake Band of Chippewa Indians, which controls all of the lands and resources within its reservation boundaries. Today, the Band enjoys full sovereignty over the reservation, including jurisdiction over all criminal and civil matters affecting the band and the right to limit who can live on or visit the reservation. During the 1950s and 60s, Congress “terminated” or withdrew federal recognition of 109 tribes, primarily in Oregon and California. In all, 1,365,801 acres of land were removed from trust status during this period, and more than 13,263 individuals lost tribal affiliation. After the termination policy was officially ended in 1970 by President Richard Nixon, many tribes fought long, difficult legal battles to regain their federal recognition and have their lands returned to tribal ownership. Some have since had their federal recognition restored, such as the Menominee Indian Tribe and the Klamath Tribes, but many (including the Klamath) have yet to recover their lands. While some would argue that termination is no longer a threat, its long-term effects are still felt today in millions of acres of alienated tribal lands, and in ongoing jurisdictional and legal conflicts over sovereignty and land rights. The 2009 U.S. Supreme Court decision, Carcieri v. Salazar, involves the Narragansett Tribe and hinges upon the issue of whether or not the Tribe was federally recognized at the time of the Indian Reorganization Act of 1934. As long as an Indian nation’s legal and sovereign rights are determined by federal recognition, which can be granted and taken away at the whim of Congress, the threat of termination is real and its consequences can be devastating to tribes. The 56 million acres of reservation land currently under Indian ownership are held in trust for Indian people by the U.S. federal government. Consequently, approval by the secretary of the interior is required for nearly all land-use decisions, such as selling, leasing or business development. This adds multiple layers of red tape that can severely hinder land use and management. Many Indian landowners cannot even locate their lands, and land management decisions are commonly made without their consent. Under the federal trust system, the U.S. government is responsible for the protection of Indian interests: assets, lands, water, income from trust property, and proprietary treaty rights. However, the federal government has not always fulfilled its obligations as trustee. In fact, its gross mishandling of the trust system has led to the loss of billions of dollars of income, mostly from improperly managed agricultural, forestry and mineral leases on these lands, and the resulting proceeds.